Whohooo we meet on a Friday again! How was your week?? I feel like our weeks have simply been flying by and it’s a scary and exciting roller coaster ride all at once. I cannot believe Halloween came and went and now everyone is full-fledged Christmas! These next 8 weeks are simply by favorite time of year and toting around this bump is making it all the more special. 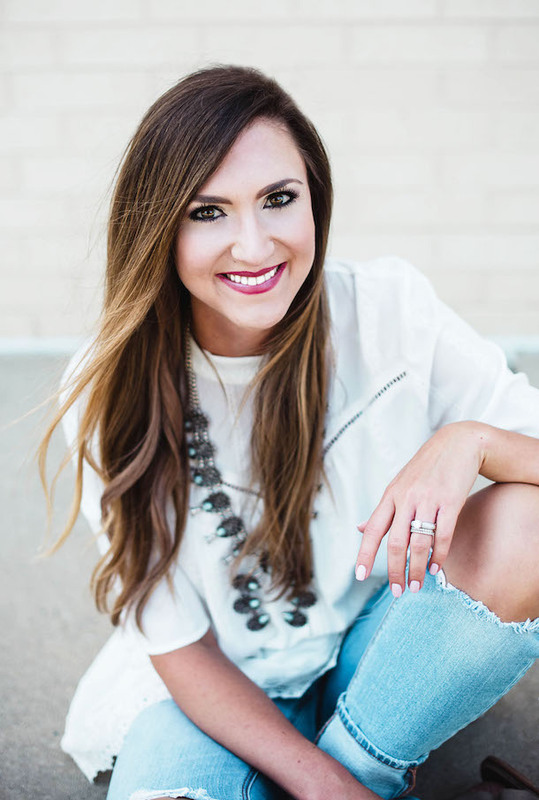 Here’s this week’s Friday Edit…lots of good stuff, including something extra special for any expecting mama you know! Happy Weekend, my friends! Personalized Holiday Gift Guide | I was a little hesitant to publish a gift guide on 11/1, BUT you guys loved it and were super receptive! Cheers to us all getting ahead of the game this year! The top item was the kids puzzle, custom family portrait and monogrammed golf towel. Last week in my 20 Piece Capsule Wardrobe post, I talked briefly about these Gap Girlfriend Chinos. 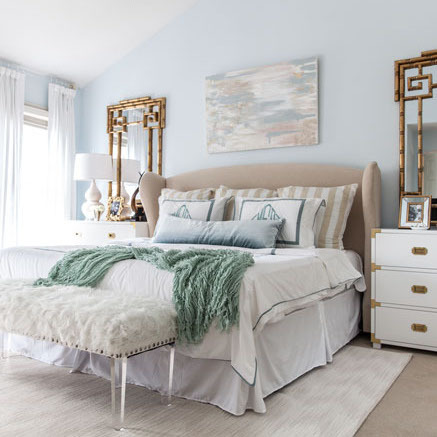 I thought that it would be a good idea not only to show you various ways to style them but also how year-around they can be. 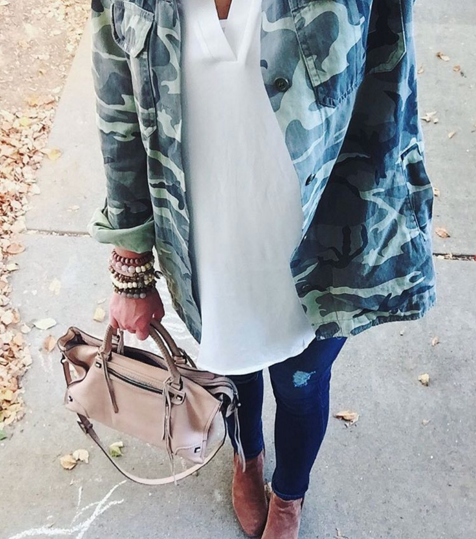 See how I styled them 3 ways in THIS POST. There was also a HUGE Nordstrom Clearance Sale announced yesterday so, of course, I had to share it with you guys! It’s the very best time to get in-season merchandise and cold weather clothing on sale! 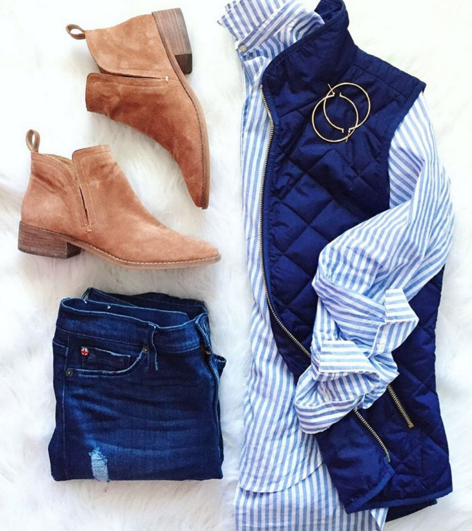 You guys were most interested in Women’s Boots, Women’s Sweaters, and Women’s Jeans on sale and these booties seemed to be everyones favs! 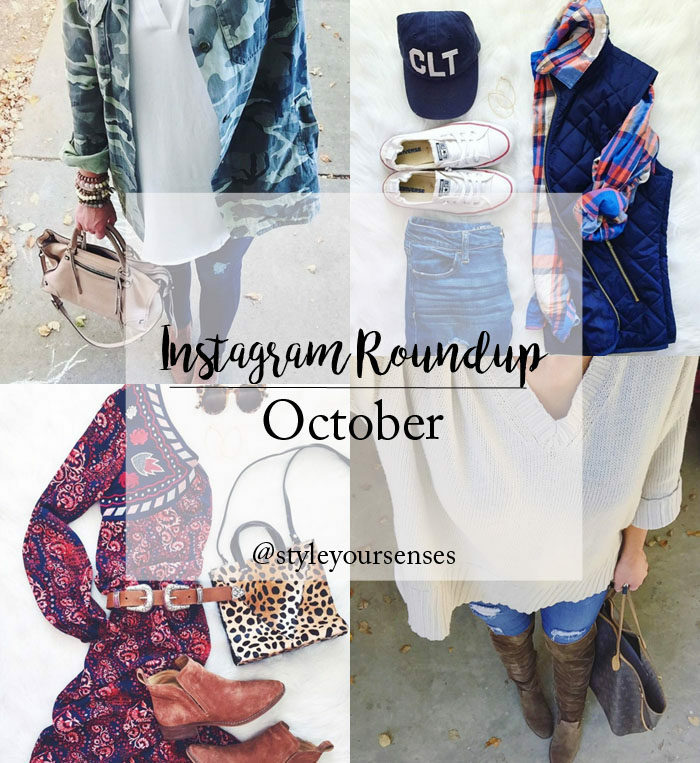 From Monday’s Instagram Roundup, my favorite tunic was the most clicked item (on sale for $27), followed by the flat booties I can’t quit wearing and the boyfriend sweater I scored in 2 colors! When I don’t have a ton of time in the mornings I try to not over think things and keep it simple. 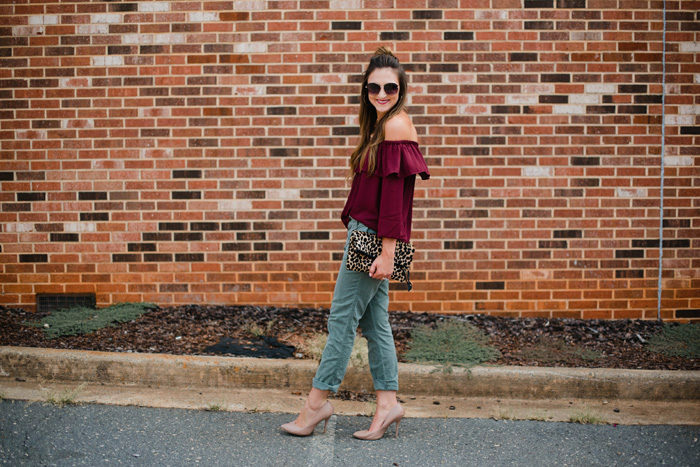 Here’s a perfect example of how I pulled together a classic and comfy outfit on the fly this week. Note, I’m wearing the same booties in both photos and it’s because I’m #OBSESSED. 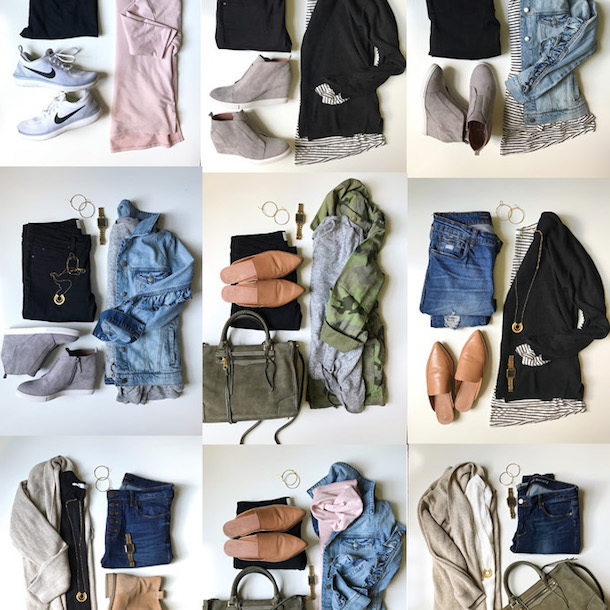 I was really really taken aback my the Capsule Wardrobe post, that I decided to start really implementing it more. 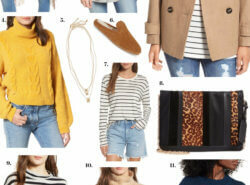 Can you believe that the jacket, top, jeans, boots AND handbag are all a part of the 20 piece capsule?!?!?! Yesterday I came across and Instagram account that literally had me drooling all over my phone. You guys have to follow @casadeperrin for the most gorgeous tabletop inspiration! 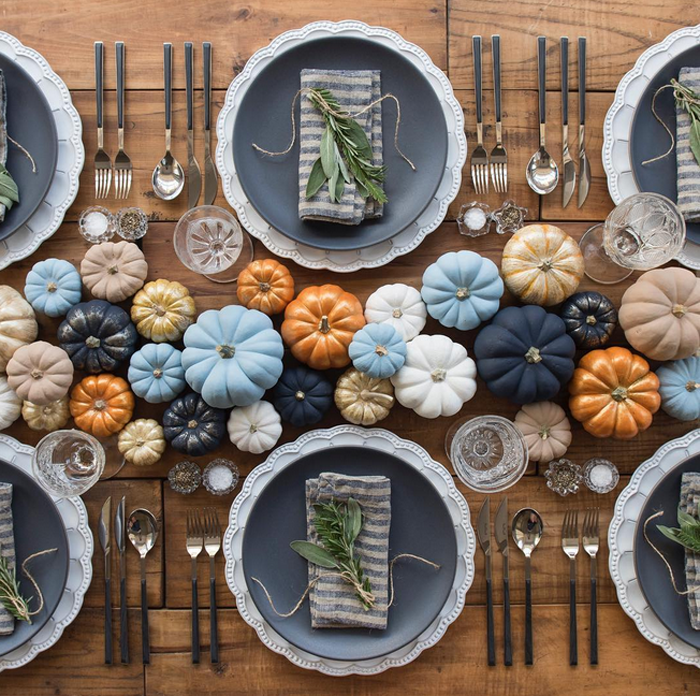 I saw this Thanksgiving table and immediately thought that I’d like to try and re-create it. Did I ever tell you guys that one random day I bought 30 miniature pumpkins from Trader Joes? They are sprinkled around our house like confetti and I think that this idea would be a great last hurrah for them! There’s a BIG game on in our house on Saturday night (aka LSU vs ALABAMA!) and we are debating getting a sitter and going to watch it somewhere uptown #pregnantladyinabar OR staying at home and having apps for dinner (always my favorite). 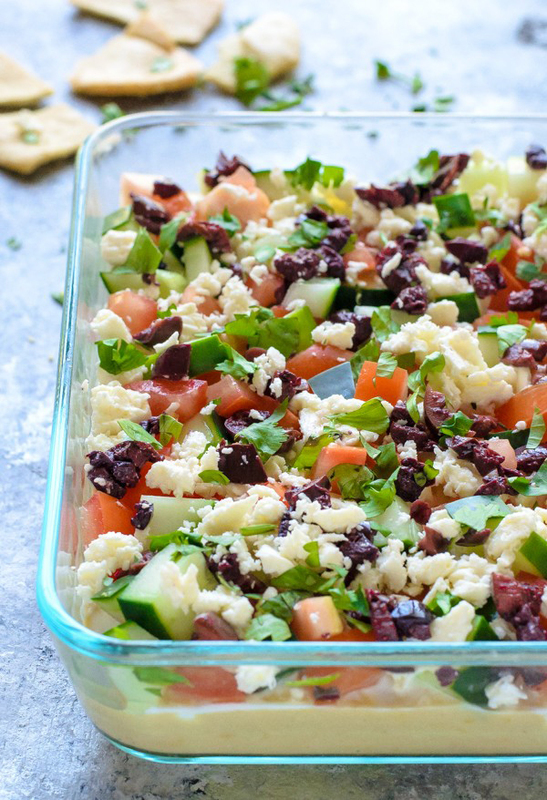 I was searching a few more healthy options and came across this Greek layer dip. It looks SO good and actually semi-healthy! The recipe is HERE. I posted this on Facebook earlier this week, but had to share it here too. 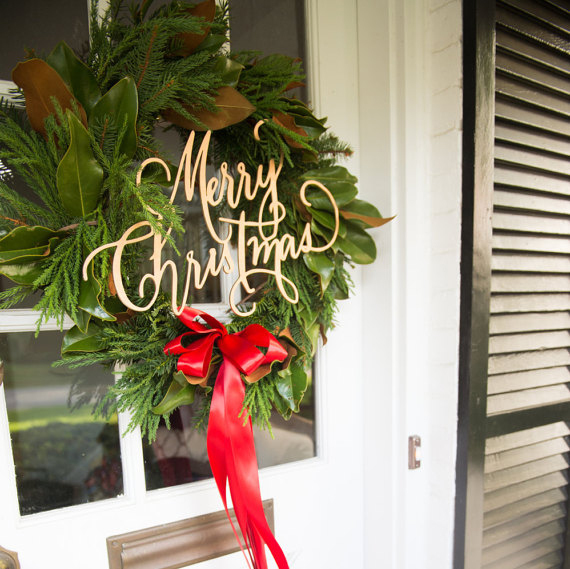 I’m obsessed with the feel of natural wreaths for this Holiday season…fresh fir or even magnolia leaves just make the simplest and prettiest statements to me. I came across this wooden script “Merry Christmas” and nearly fell over because of how pretty it is. So elegant over the simple wreath and something that you can use Christmas after Christmas! Shop it HERE. 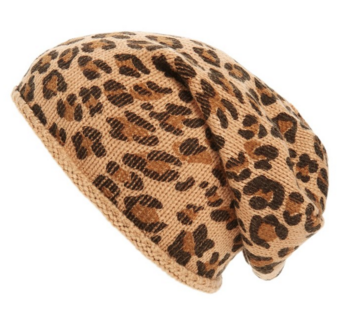 This dang leopard beanie hat has been haunting me since LAST winter! It came back in stock recently and I couldn’t buy it fast enough. It’s since gone in and out of stock twice! 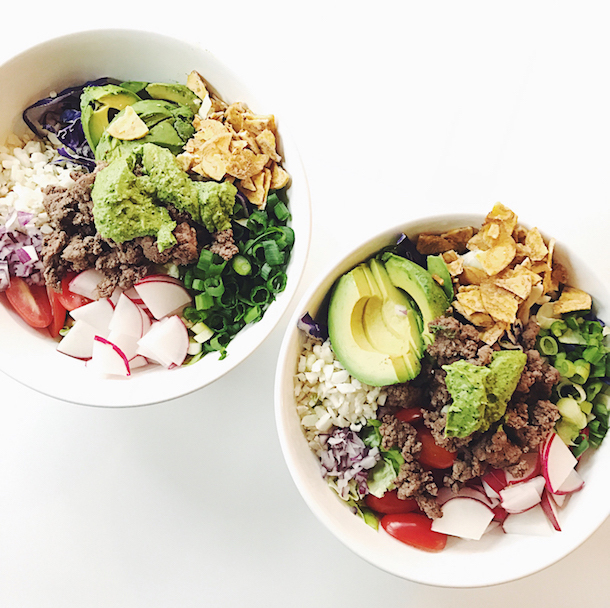 Now it’s backordered, but only for a few days…so hurry and snag one!!!! It’s SO cute on and only $15. GREAT for gifts! Shop it HERE. So, I’m just going to put this in every Friday Edit until I can guarantee that Dan’s seen it, mmmk? Not really, but can one of you guys please drop him a hint! I’m dying over EVERYthing Gucci this season and absolutely adore the new logo and brand direction. 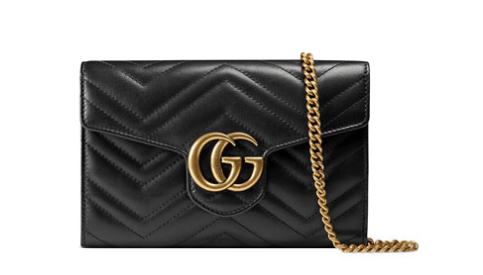 This bag is at the tip tip top of my Christmas list…what do you guys think?? See the bag HERE and the full collection HERE. WHO has a glam event coming up???? 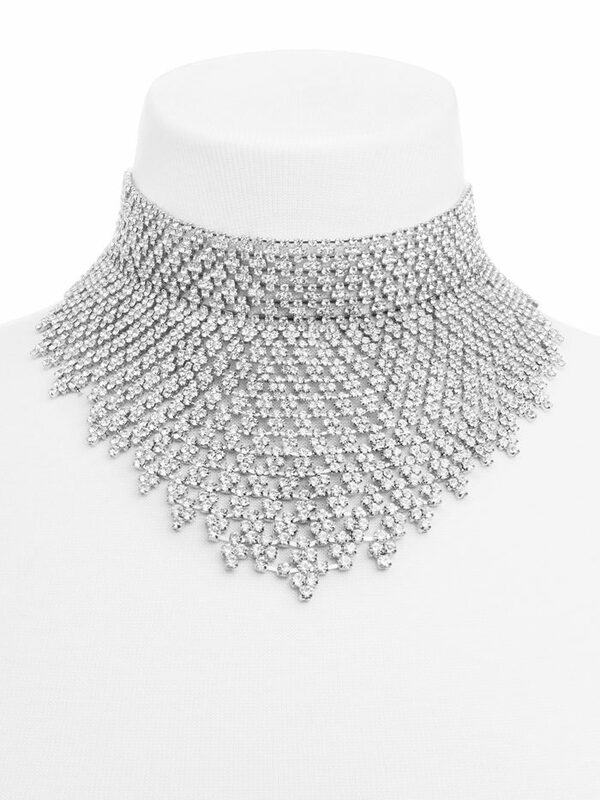 Holy smokes, Batman….this choker bib is a stunner!!! Wear it with a formal gown or even dress up a cocktail dress with it. Heck, I would wear it with jeans and a blazer…but, you know me! It’s only $72 and will definitely give you that Cinderella moment! Shop it HERE. You guys know that this is all the buzz, so make sure to SHOP NOW if you haven’t already…things are flying! Okay ladies, I’ve been really really trying to come up with a way to incorporate this pregnancy into the blog. I don’t want to overwhelm anyone with it, but there are quite a few things that I do want to share as it’s obviously super important and special to me. I always see this blog as a community and that’s exactly what I want the pregnancy to feel like, so I came up with the idea to do a dedicated post each week that’s specific to pregnancy called “The Saturday Bump!” It will be centered around being pregnant, things that I’m going through along the way, baby must have’s, registry lists, advice from guest mamas…you name it (and if it related to babies)…it will be in the Saturday Bump. I want to create a community of expecting and new moms and a safe place where they can come weekly for the real scoop (not the Instagram nonsense) around being pregnant and everything that goes along with it. The post will go live every Saturday and will be out there for anyone to access, but I won’t be sending out an email to everyone about it. If you’d like to receive the Saturday Bump (and a few other baby deals!) to your inbox, I’ve created a new email list where you can sign up! Tomorrow’s post is about Maternity clothes (woof!) 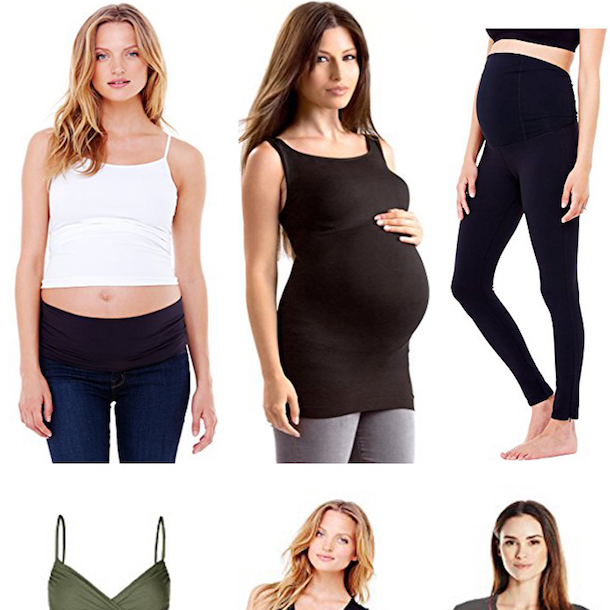 and I’ve curated a “starter pack” of first and second trimester essentials…sign up HERE to get the post in your inbox tomorrow morning and please please please refer any pregnant or new mama friends!